Emtek 86150 Contemporary Finger Pull 7/8 in. Emtek 86151 Contemporary Finger Pull 1 in. Emtek 86152 Contemporary Globe Knob 1-1/8 in. 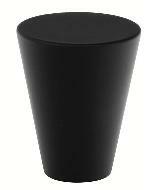 Emtek 86261 Contemporary Cone Knob 1 in. Emtek 86262 Contemporary Cone Knob 1-1/8 in. Emtek 86269 Contemporary Metric Knob 1-1/8 in. 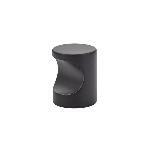 Emtek 86271 Contemporary Trail Knob 2 in. Emtek 86314 Mid Century Modern Atomic Knob 1 in. Emtek 86315 Mid Century Modern Atomic Knob 1-1/4 in. Emtek 86316 Mid Century Modern Atomic Knob 1-5/8 in. Emtek 86317 Mid Century Modern Basin Knob 1-1/4 in. Emtek 86318 Mid Century Modern Basin Knob 1-5/8 in. 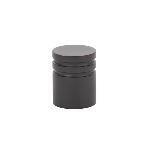 Emtek 86319 Mid Century Modern Podium Knob 1-1/4 in. 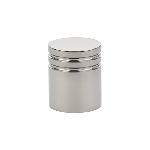 Emtek 86320 Mid Century Modern Podium Knob 1-3/4 in. Emtek 86321 Mid Century Modern Cadet Knob 1 in. Emtek 86323 Mid Century Modern Cadet Knob 1-3/4 in. 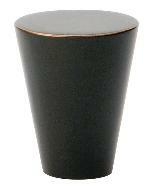 Emtek 86357 Mid Century Modern Bar Knob 2 in. Emtek 86405 Curvilinear Sweep Knob 1-1/4 in. Emtek 86410 Curvilinear Bezier Knob 1-1/4 in. Emtek 86411 Curvilinear Bezier Knob 1-5/8 in. Emtek 86415 Curvilinear T-Curve Pull 2 in. Emtek 86449 Urban Modern District Knob 1-5/8 in. 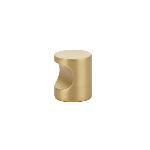 Emtek 86450 Urban Modern Freestone Knob 1-1/4 in. Emtek 86451 Urban Modern Freestone Knob 1-1/2 in. Emtek 86452 Urban Modern Freestone Finger Pull 1-7/8 in. Emtek 86458 Urban Modern Mod Hex Knob 1-1/2 in. Emtek S61113SS Stainless Steel Dome Knob 1-1/4 in. Emtek S61213SS Stainless Steel Mushroom Knob 1-1/4 in. 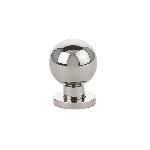 Emtek S62001SS Stainless Steel Bar Knob 2 in. Emtek 86703 Modern Rectangular Hunter Knob 1-5/8 in. Emtek 86702 Modern Rectangular Hunter Knob 1-1/4 in. Emtek 86701 Modern Rectangular Allerton Knob 1-1/4 in. Emtek 86700 Modern Rectangular Allerton Knob 1 in.